Keep the kids entertained over the holidays by exploring a variety of arts and crafts in a real artists’ studio centre- clay, textiles, print, designing and more. A great way to spend the holidays having fun, making new friends & learning new creative skills. All materials included and all abilities welcome. Please bring a packed lunch. How to book: Either book online using the shopping cart below or send a cheque with a note detailing the workshops you would like to book, your email address and contact number to our address. Please click here for contact details. Please make cheques payable to ‘Funky Art House’. Places are limited so please book early to avoid disappointment. Monday 18th Feb, £35 – Sketching: Learn the basics of sketching. Learn how to make an object look 3D with shading, blending and perspective techniques. 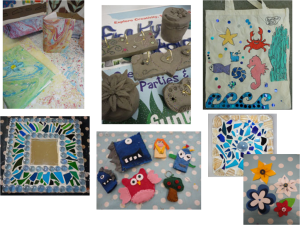 Tues 19th Feb, £35 – Drawing and modelling Explore different techniques in clay and decorate with buttons, beads and wire. Next make unique, paper craft creations and learn to draw and paint landscapes. Early & Late Pick Up: Early & late pick up can be arranged at a cost of £8 per hour. Please contact us with details to pre book. Address: Workshops are held at Bath Artists’ Studios, Upper Bristol Road, Bath, BA1 3AJ. Please click here for directions. 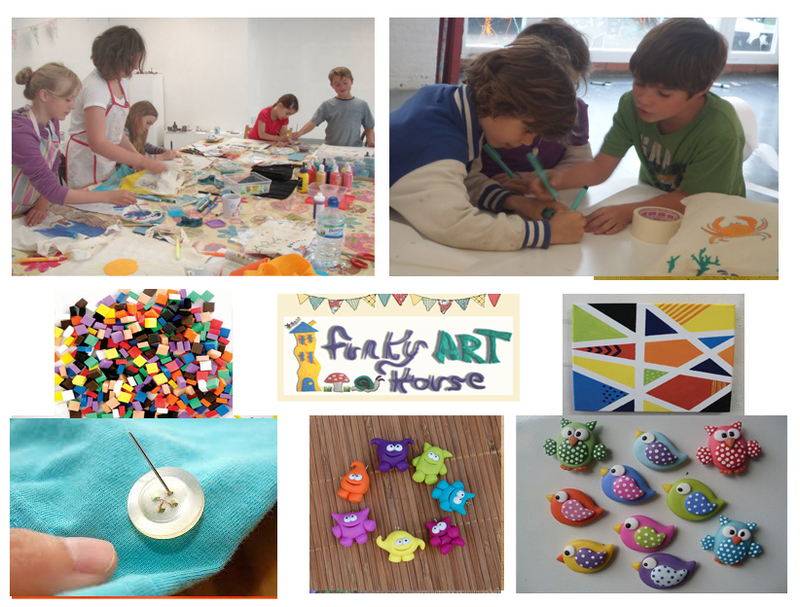 Parking: Unfortunately there is no parking at Bath Artists’ Studios but you are able pick up and drop off your child. On booking we will provide more information. Easter And Summer Holiday Dates 2019 – Save the date!